… the Failed to Start Error! The writer indicated that what was missing was the C++ 2005 redistributables and its 2005 SP1. Following previous leads, I had already installed Microsoft C++ 2008 and 2010 redistributables … without solving my “configuration error” problem. I “removed” the 2010 version after I saw no effect. NOW I downloaded and installed the C++ 2005 and the 2005 SP1 versions and … MMD 8.05 opened right up! Woo-Hoo! I must point out that I am running Windows XP, SP3 … so, I can only hope this FIX will work on newer systems! Windows 8 … 64-bit? … This article recommends C++ 2005 … but, these days, the VPVP page recommends C++ 2008 AND C++ 2010. Look under section 1.4 … there are links to the 64-bit 2008 and 2010 C++ downloads. 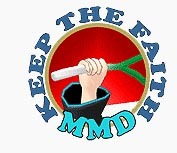 … Other new MMDers say that this worked has for them! DOWNLOAD the first one … install it. Let it run for a bit … kind of hard to determine when the install is finished … Then download the SP1 version and install it. That’s it … MikuMikuDance 8.05 now runs on my machine. Please let us know via comments or email if it works for you! Install (or uninstall and reinstall again, if they’re there already) MS Visual C++ redistributables. “the application has failed to start because its side-by-side configuration is incorrect.please see the application event log or use the command line sxstrace.exe tool for more detail” help?? See the Troubleshooting page about installing C++ redistributables. What version of MMD you’re using, 64 or 32-bit? Open Programs&Features in Control Panel and check what C++ related items you have installed. There must be some sort of mismatch there. i tried using both versions ,my brother whos pretty computer savvy said the the program is buggy ,i dont know if thats true but ill try what u suggested,and if that dsnt work shall i assume hes right? I’d still like to know anyway. odd..the MMD suddently not working. I click and nothing happen (it was working for no problem before) I tried to re-install and it work once then not again. Have you tried to reinstall MS Visual C++ libraries relevant to your version of MMD? how to see if my ms visual c is relevant to mmd version? Check the Download or Troubleshooting pages for links. AFAIR, 32-bit MMD requires 2005 and 2008 32-bit libraries, and 64-bit MMD needs 2008 and 2010 64-bit versions accordingly.